Thank you for sharing this Betise. And please be assured that your comment about “the tellers and the told” makes total sense not only in this context but also in the broader situation we see today of everyone wanting to be the protagonist and not the reporter. It seems like one needs to be at the center of the tale for it to be credible. Thanks for setting the record straight Betise. Bernie knew he was dead and still the race went on. What a dushb… That rally shows the kind of man he is. Does that make everybody else a dushb…. Because they carried on after Roland Ratzenbergers.’s death the day before, or is it because he did not count as much..? Maybe they should put a clause in the driver’ s contracts if they would agree the race should go on if they get killed…… I am sure they would all sign. HI Jeff. i am sure they will sign, too. Thanks for sharing the details Betise. Unnerving and unsettling information come to think of it. Be it the clandestine manner in revealing the news or the wish to let the race continue. The show must go on, money to be made. Roland died on the track also the day before, would the FIA have followed the rules and let the italian justice seal of the track and suspend the race, Ayrton would have lived today. They even had the nerve to lie once again after Ayrton’s crash so the race could continue, and the sponsors would get their money’s worth which to them was more important than people’s live and doing the right thing. Who cared about that damn race anyway after all what happened…. We all suspected it, but now we have confirmation thank you for this Betise. But you are forgetting one thing: Ayrton also continued and raced. He did but seeing there was so much pressure for him to deliver in the championship + everyone expected it from him there wasn’t much room to throw the towel even if he wanted to. As you know there are many stories around that he actually didn’t want to race the next day. How did you see Ayrton’s mood after Roland’s accident if i may ask? When Ayrton died they did the same again. Just goes to show how the mighty dollar prevails above human life if needed. I want to thank you very much for clarifying the conversations and what really happened at that moment in time, it’s very sad to relive but also a relief to hear the truth. I feel for all affected. As for people disrespecting Bernie anybody dealing with Ayrton and his injuries trackside quite clearly knew that he was technically dead, brain-dead to be precise and at the hospital I know he was visited by Gerhard Berger that even he said the colour of his feet were not the colour of a living man’s feet he was only being kept alive mechanically and would be quite clear that it would be ‘switched off’ at some point Or left as a ‘vegetable’ on a ventilator. I’m sure most wouldn’t want that and would wish to pass away with dignity. After Ratzenberger’s death the Italian authorities would have closed up and sealed the circuit and cancelled the F1 event if they wanted to do so but they didn’t and only Ayrton’s death went to trial because his car was altered in an irregular manner before the Grand Prix; Rolland’s was not. The angle of the crash was more simple and clear to see how it caused Roland’s death and he was basically if were honest internally decapitated. Ayrton, his head injuries were more complex and at an angle more peculiar. I also don’t believe it wrong of Bernie to continue the race because the mass hysteria would’ve been horrible to see but not only that, he had respect for the hospital to let them continue their work, although blunt with Leo as the news and his injuries it was pretty much inevitable he would die very soon if not technically already (using machinery to keep him alone for the time being, he didn’t want confusion in translation and prepare him) he did perhaps have a glimmer of hope and also wanted the doctors to be able to do their work or work on his body being removed by undertakers for the return to Brazil quietly and let the family deal with what they had to deal at the hospital in privacy and peace, without press and the public running up to the hospital in hope, despair, grief and invading privacy. 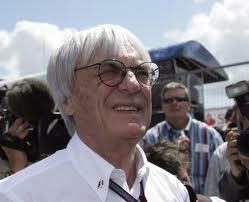 Whether a fan or not he was an asset to Formula One, lived a great life and achieve many things, he was generous and kind and a hard worker, he was adored by millions if not billions any need to be remembered for the good things that you did underachieved arguing about it now no sense and I’m sure if we could speak to him heaven he wouldn’t want you to feel sorry for him, but be remembers for the good he did and that’s what we should do! He wouldn’t want to be judged for racing or considering taking the Proffs advice, no matter if only’s it happened, I’m sure if you dig there would be if only’s to Roland’s death and if it could’ve been avoided too, but sadly not enough seem to care. Senna would want you to care about Roland and not keep going over the consequences of his own death or put any blame on anybody for Racing after Roland’s death, the cause of Roland or his, but just be pleased that it made a difference to make F1 safer. I’m glad now in the UK that sky are proud of his achievements and talk about him and Roland because sadly they became a dirty set of names which is so wrong when ITV and BBC showed the sport, any slight mention of them would be quickly passed over and the subjects changed and I think that’s wrong so much respect to sky TV there. I think he’d be happy in heaven watching over the family that are still living, Bruno racing, with his family and friends now passed away and joined him, enjoying eternity with God, as of course we all know he was a very, very religious man. Many thanks for sharing this, which I’m sure it hasn’t been easy for you being so close to Ayrton as you were. And I share your introduction and your anger about how some informers just want to do things their own way. And I share it as I’m also a sort of informer/pseudo journalist (para aquelas pessoas que chamamos touros vermelhos). I was very young when this happened and have often heard his name as the best ever driver, once I started watching F1 in 2006. I became captivated with his life and accomplishments, since watching the film “Senna” and I can see why now that he was so revered. I appreciate your taking the time to share. I clearly remember every moment of that infamous day. In particular, I remember the fact that the feelings I had about what was happening were that the media was waiting the end of the race to announce the truth about Ayrton’s conditions. Initially, I remember the facial expression of the doctors: they were saying that Ayrton arrived at the hospital in critical conditions and was fighting for his life, but they were looking like someone that is just “telling a story” with no real faith. After, when the news came, I wasn’t surprised because I really had no more hope. Thank you Renzo. The press at the track were being informed by Martin Whitaker so they really did not know. But, obviously, we all knew it had been extremely serious. You only had to watch the medical team behaviour at the track. 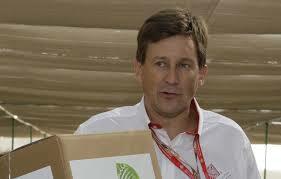 So it’s true that Ecclestone and his coterie lied and broke Italian law in order to avoid having the race stopped? My god, those people are shameless in their greed. Absolutely. Having read Sid Watkins’s book ‘Life at the Limit’, where he describes with sensitivity the moments he was with Ayrton in the aftermath of the accident, all that you say in this post Betise is what ‘ve understood to be correct. However, rather than dwell on the accident, I take comfort from the images that I have of Ayrton on lap 6 of the Imola race (the lap prior to the accident). In that single lap, we saw what made him the champion that he was; he was driving a car that was not yet at its best, yet he had that car on the absolute limit – on a knife edge – with huge blasts of sparks pouring from the rear of the car which, I suspect, was being run very close to the tarmac, much closer than many would have dared. The tyres would probably have not been up to full racing temperature either. The image as he went round round the bumpy surface of Tamburello at full racing speed, and with a full fuel load, on lap 6 was simply awesome. He was absolutely determined to win that race and nothing was going to stop him, not even being followed by a car that, shall we say, was commonly believed to be technically ‘different’ to the rest! Anybody that suspects that Ayrton wasn’t ready for delivering his best during that race I would say absolute nonsense – take a look at him lap 6. He was out in front, where he belonged. It was greatness at work – pure genius. I think it is great that you were prepared to reveal the truth. There has been so much speculation and misinformation regarding the whole tragic weekend. So many people from friends and family to fans took so much pain from it that the realities and the truth were camouflaged and disguised . The truth got blurred and a lot of people cashed in on the event … the media in particular …even now 20 years later it is still a money generating event… and I dont have a problem with that as long as its true and tastefully and respectfully managed. Senna was no where near perfect and was never shy to gain maximum financial benefit from anything….good for him. Ayrton knew and understood the high risks involved and often caused the risk level to be greatly raised. I was a huge fan of him as a racer and admired his selfish and totally greedy attitude to racing as he was being totally true to himself and his incredible need to be the winner at all cost and basically “f%”…k everybody else and the consequences”. That was the racer that Senna was. There was of course other sides to him and a lot of people today have benefited greatly from his exploits and generosity. Motor racing is dangerous… thats good . People get killed… not just drivers but also marshalls and spectators… and thats sad but it should never stop the sport/show going on. Obesity, smoking drinking and drugs are bigger killers than our sport so when bad days happen like 30th April 1994 and 1st May 1994 we cry we lament we are distraught and families suffer but the show goes on because we love it, we love the noise and action and the danger… its what makes it the greatest show on earth and for that I personally thank mainly one man…. Bernie Eccelstone… the sconiving bloody little crook that he is is is greater than all the drivers past and present for what he has created for the millions of people around the world who would not even know of the sport without the little impresario and his star actors like Ayrton was and whoever the next badboy topgun racer is…Michael or Lewis or whoever. Thank you for the insight into the tragedy that was and clearing in your mind and others an element of truth not revealed before how sad that you have carried this around frustrated no doubt by the speculation of others. You are a good friend and responsible man what wise choices Ayrton made in choosing you as a friend and what good deeds you did for the Senna family in helping to come to terms with a very graphic and public death. honesty was your mantra and you have stuck to that value. Bless you for your strength and compassion. Thanks fort that, Catherine. I still, sometimes, can’t believe he’s gone. Thanks Betise for setting the record straight. I read Arytons biography today and his death still hurts like it did 1st May 2014. Right or wrong, the race continued and Martin and Bernie lied. Thank you for sharing such a difficult story. Mr Senna was someone I grew up watching. That weekend still seems like an awful dream/nightmare. I can’t believe it even now. Ayrton’s legacy to the children of Brazil is something that is just so inspirational. I’m a teacher in Scotland and I’ve told his story, his charitable works story, a couple of times. To be a person who put so much back into Brazil is something even more special than his racing career. That lifts him up from being a ‘mere’ sportsman. Brazil could have done with him as a politician, I have no doubt of that. You know what?! Neither can I. People send me videos of him doing all sorts of different things – some of them I was actually there, either in a race weekend, test or party, and I still can’t believe he is not with us any more. I can only be grateful I share so many moments with him. Thank you for sharing this Betise. In 1994 I was watching the race live on tv at my home in Sydney Australia. It was close to mid night that Sunday, this is what we do here to watch F1. Australia came to standstill when the funeral took place, as much as Lady Di a few yrs later. The feelings of disbelief still sometimes surface. To this day, Ayrton’s life inspires many. As a former pro Motorsport competitor myself it takes strong character to ride the ups and downs, including the politics involved to be even a little bit successful. In every field of life there’s good guys and bad guys, of course everyone believes they’re the good guy. Indeed, there’s 3 ever remaining features of Ayrton life, dignity, faith and belief.